details, the better! For this look I went with more is more. There are days when I want to be super simple in a tee and leggings and other days I want to wear all the accessories and details I can find, haha. 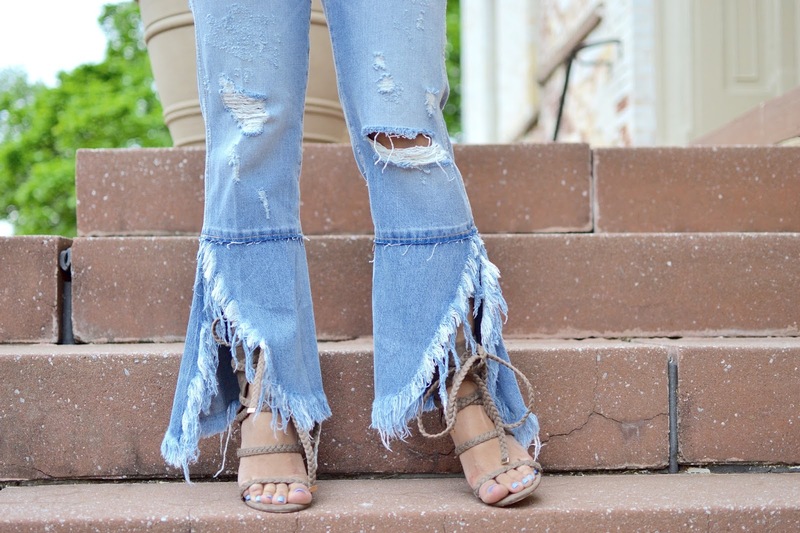 For this look I did the off the shoulder and pom-pom top with these amazing ripped and fringed jeans. Of course I had to add these Chloe-inspired sunnies and my favorite Forever 21 heels this year. If you feel you are more of a less is better person that's fine, wear this top with skinny jeans and some cute flat sandals this summer and it'll be super cute too. I love this top and have already worn it more than once. Below are the details and were I got everything.